Olympic rower Alistair Bond (third from the left) is studying for his Master of Environmental Management with Massey, via distance. Alistair Bond and his Olympic gold medalist brother Hamish share more than just a love of rowing. The siblings are also bonded by their connection with Massey University. While Hamish graduated with a Bachelor of Business Studies in 2010, his younger brother Alistair is currently studying for his Master of Environmental Management with Massey, via distance. 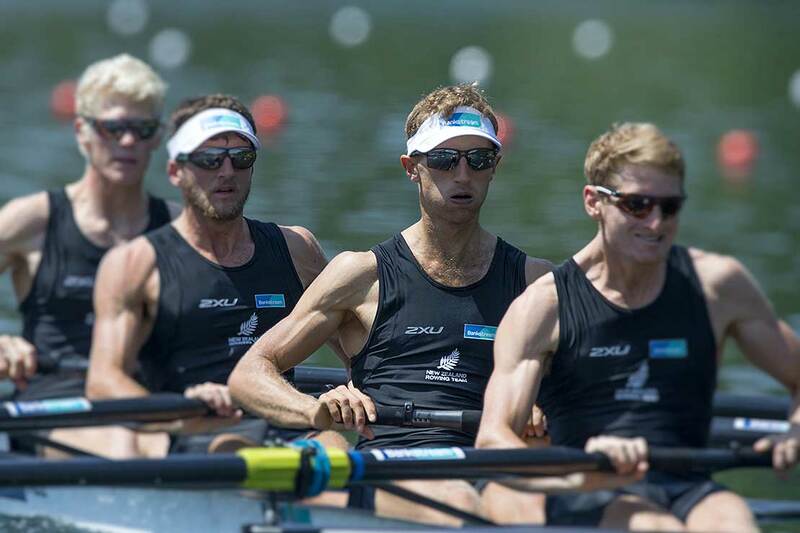 The pair will both be in Rio for the Olympics – Hamish competing in the men’s coxless pairs, while Alistair will attend his first Olympics, in the lightweight men’s coxless fours – an historic occasion as it is the first time a New Zealand lightweight four have qualified in this event for the Olympic Games. “I am sure as we get closer and closer to racing, nerves will become the main emotion, but at the moment, it is all starting to become more real and the excitement is building. And it is not just for me and my teammates, but also for friends and family who I am fortunate to have coming over for support,” the younger Bond says. Current or former Massey students and graduates make up 24 of the 36-strong rowing team heading to Rio.